5,000 Businesses. 30 Million Fewer Emails Sent. More Opens, More Clicks. SharpSpring measured the before-and-after results of more than 5,000 businesses that are utilizing SharpSpring’s new email engagement tools to suppress email sends to unengaged recipients. Suppressing email sends to disinterested recipients has already increased our customers’ reputations with ISPs, resulting in more overall opens and clicks while sending far less email. The improvement these businesses have seen in opens and clicks is the result of ISPs putting more of their emails in the inbox (rather than the spam folder), where recipients are more likely to see and read them. It’s only been a few months since we implemented our email engagement tools, but we figured you’d like to see how they’re affecting email performance. To show you, we’ve compiled the delivery, open, and click data for over 5,000 companies that have sent email through SharpSpring since September 2016. These 5,000 companies are sending 30 million (50%) fewer emails since the same time last year. The raw number of clicks is 5% higher than it was at the same time last year. 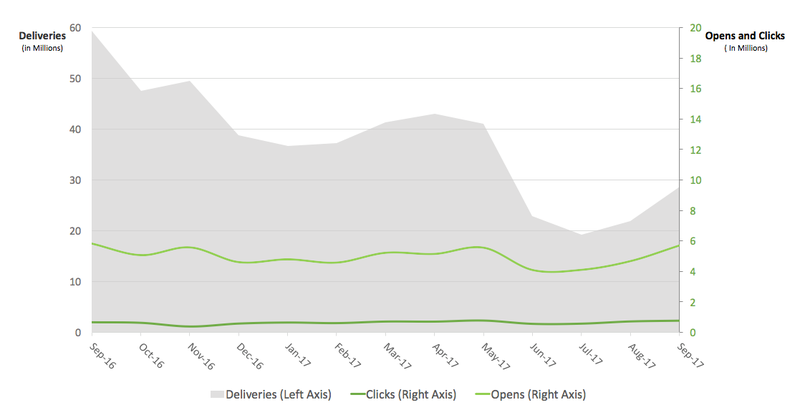 Here we see a substantial reduction in emails being sent (-33%), but opens and clicks both increased. With such a reduction in email send volume, you might expect to see a similar reduction in opens and clicks, but this is clearly not the case. In fact, we are seeing a 12% increase in opens and a 6% increase in clicks. First, it’s important to remember that the only recipients to whom emails are being suppressed are people who were not opening or clicking on the emails anyway. 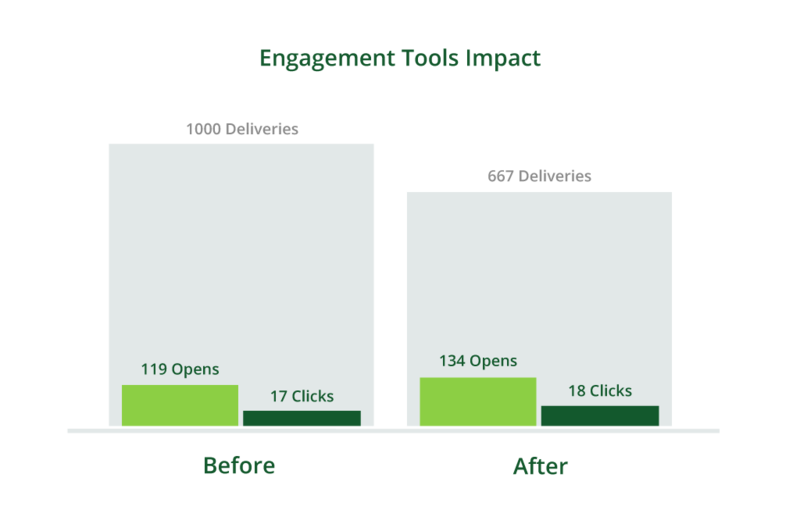 With this in mind, it should not be surprising that we don’t see a decrease in opens or clicks from this group of unengaged recipients. Second, and even more important, Internet Service Providers (ISPs) like Google, Microsoft, Apple, and Yahoo have shifted focus toward engagement, and they reward reputable senders (ones who prioritize sending to engaged recipients) by putting more of their emails in the inbox rather than in the spam folder. As every marketer knows, better inboxing means more recipients are seeing your message, which leads to more opens and clicks. Not surprisingly, we have seen a corresponding increase in the open and click percentages. As you can see, these 5,000 companies benefited greatly by reducing email sends to unengaged recipients. Open and click rates both shot up, and raw/total opens and clicks went up too. We’ll say it again and again – the world of email marketing has changed. After years of focusing on hard/soft bounces and spam complaints, ISPs have shifted the focus toward engagement. This ensures that senders are held personally accountable (read more about this below) and that they’re only communicating with people who want to receive their content. 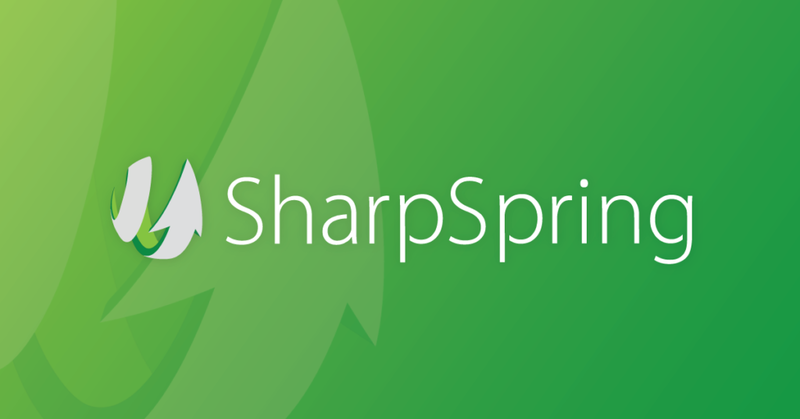 By preventing sends to unengaged recipients, SharpSpring is helping to protect your domain reputation and ensure engaged recipients continue receiving your content. As we’ve pointed out, ISPs are growing increasingly sophisticated in their battle against spam and unwanted email. In addition to tracking engagement, ISPs are now tracking your sending domain. This is another fundamental shift in the way ISPs are targeting specific email senders. Not long ago, ISPs only tracked the IP address of the sender and blocked the offending IP to prevent spam messages from being sent. This enabled malicious senders to jump from email provider to email provider in order to avoid detection, while continuing to get their messages delivered. Today, the rules have changed. ISPs are tracking the specific sending domain of the sender and flagging that domain, regardless of which email service provider the sender uses to send mail. A sender using poor sending practices can create long-term damage to their sending reputation that they won’t be able to escape from. This is yet another reason why senders must pay attention to engagement and best practices in order to be successful in today’s email environment. Want more info about managing email engagement? Today, email is largely viewed in web browsers, where ISPs can see how people are interacting in ways they couldn’t see just a few short years ago when most email was viewed via offline email clients like Outlook or Apple Mail. ISPs are using these new insights to see whether the emails that are being sent by businesses are actually wanted by the people who are receiving them. They do this by measuring open and click rates, and by monitoring if the emails are being forwarded, shared, or saved in folders. All of these actions mean the recipient finds the email “engaging” and valuable. People have gotten tired of receiving irrelevant or spammy emails, so ISPs have responded by changing the rules of the sending game. And SharpSpring has grown to meet this focus on engagement to ensure you are getting the best possible delivery. 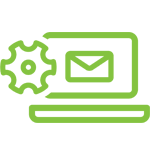 Our email engagement tools allow you to easily segment your recipients into three categories: Engaged, Almost Unengaged, and Unengaged. These tools give you the opportunity to customize your messaging based on how engaged your leads are, so you can boost the chances that they’ll open your emails. The tools also automatically identify contacts that are not engaging with your emails at all, to help ensure you’re not damaging your domain reputation by sending to people that don’t want to receive content from you. If a contact doesn’t open or click on a certain number of emails (up to 16 emails if they have filled out a form), then they are considered unengaged and you will be unable to send to them. 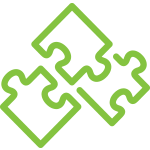 If a contact is at risk for becoming unengaged, our tools help you identify those contacts so you can send them more targeted messaging to encourage them to re-engage. Any interaction that indicates interest (an open, click, or form-fill) automatically resets the recipient to “fully engaged” (a score of 16), and a marketer can have 16 new interactions with that recipient before they are considered unengaged again. In short, if you’ve not already hopped on the bandwagon of this new email delivery paradigm, it’s time that you did.